Students build geometric models of polynomials exploring firsthand the concepts related to them. 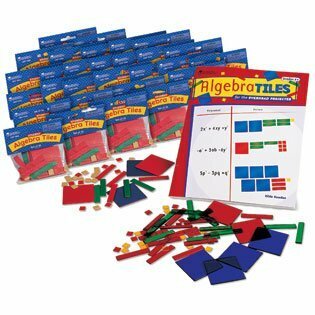 Includes enough sets for 30 students. Each classroom set also includes our Overhead Set and a 40-page book enabling students to be actively involved in teacher-directed lessons.